What a great way to start off autumn. 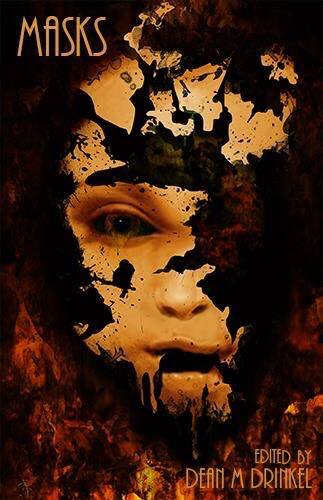 My latest story “Blood & Gingerbread” has just released as part of the anthology Masks from Black Shuck Books, an imprint of Great British Horror. It seems I am becoming a British author by proxy as this is my second in a series of at least four sequential books lined up with British presses. This story was fun to write. Inspired by Shirley Jackson’s “The Lottery” and real-world accounts of militant separatist compounds, “Blood & Gingerbread” is set in a secluded community where bizarre annual rituals keep death at bay. It explores the raw human need to control, holding domain over violence, nature, families, behavior, life, and death. What happens when that power is disrupted? Check out the table of contents below featuring some of the great writers you’ll find in the independent horror field right now. Masks is edited by Dean M Drinkel and the cover art is by the late and great illustrator James Powell, may he rest in peace. Purchasing info and other details are available on Black Shuck Book’s site: blackshuck.greatbritishhorror.com/masks. I am excited to share more publishing news this month. My story “The Jasper Scarab” is featured in a new anthology from Lycopolis Press edited by Dean M. Drinkel titled And Death Shall Have No Dominion: Tales of the Titanic. At the time I wrote this story I had been reading a collection of noir short stories by some respected authors of the genre. I began exploring noir themes as I developed “The Jasper Scarab,” moving on to a divergent path from my standard horror and dark fiction work. I couldn’t tell you with any certainty that the final story is indeed noir or something else, but the dark influence is most certainly there. “The Jasper Scarab” tells the story of William Boyd, a lone childhood survivor of the Titanic disaster. An ancient Egyptian artifact that traversed the Atlantic with him appears to be the common thread in a series of tragic events involving loved ones, yet William cannot depart with the object despite his several attempts. 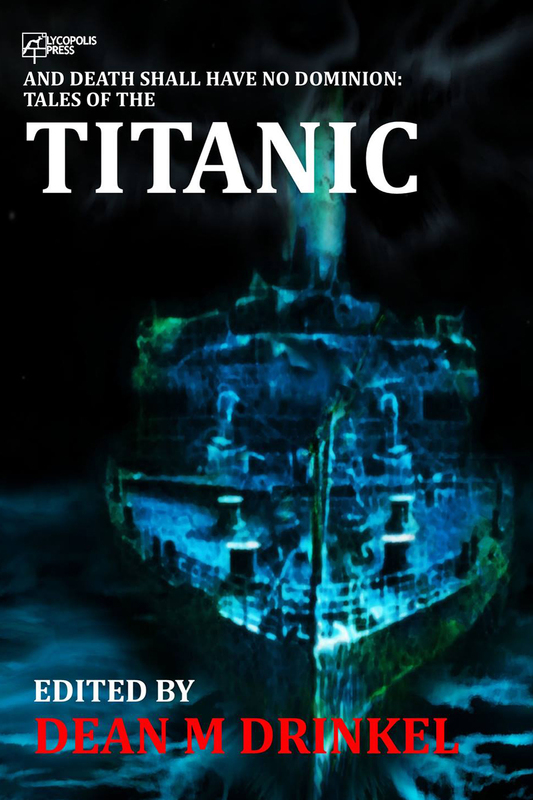 And Death Shall Have No Dominion: Tales of the Titanic is available in paperback on Amazon in the US and UK. 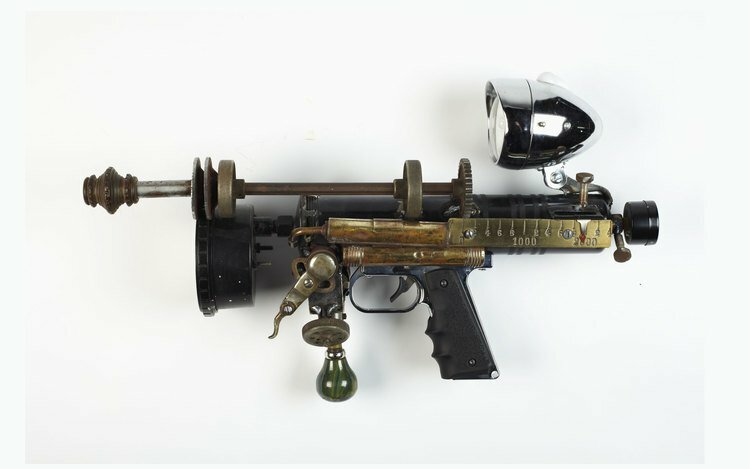 I’m please to announce publication of my dystopian story “the Last Gun” in the digital edition of Section 8 Magazine, an international art and literary publication based in Seattle, Washington, US. A story of unrequited love and casual violence, “The Last Gun” tells of the Newsman, a self-appointed traveling storyteller, news carrier, and merchant. He pays a routine visit to one of his usual stops – a decrepit American city inhabited by a young population descended from the survivors of a catastrophic civil war. He brings with him news of other communities, old songs, and what is purported to be the last known gun. You may read the story in full here, no subscription is required: Section8Magazine.com/the-last-gun/. I am always excited to announce my involvement in a new book, this time for my first of hopefully many publications with the UK-based KnightWatch Press. 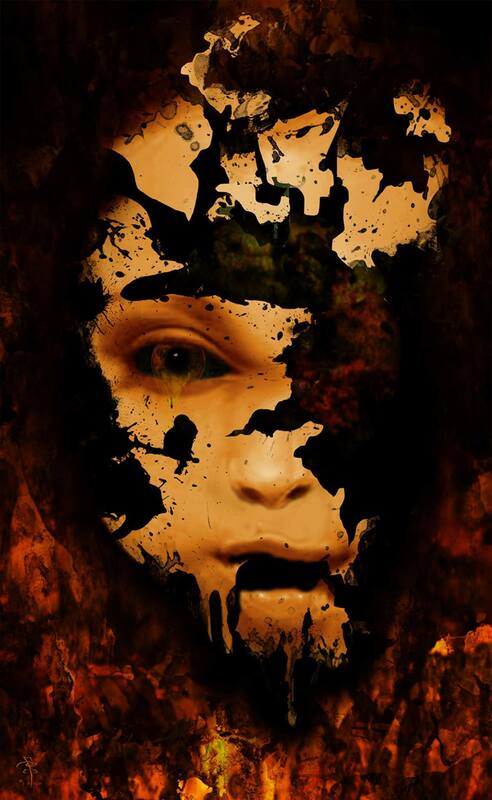 Masks is a new anthology compiled and edited by Dean M Drinkel anticipated to release later this year. Inspired by the great Shirley Jackson, my story “Blood, Gingerbread and Life” is set in a secluded community where bizarre annual rituals keep death at bay. It explores the raw human need to control, holding domain over violence, nature, families, behavior, life, and death. What happens when that power is disrupted? The table of contents features a group of diverse talents, including a handful of authors with whom I’ve had the honor of sharing other anthology titles. If you are interested in reviewing Masks before publication, please send an inquiry to theresa.derwin@yahoo.co.uk. I am excited to announce The Grimorium Verum has published today from Western Legends Publishing, containing my story “T is for Transformation: Cacophony in B Minor.” The story tells the account of Duane, a talented musician and computer programmer, who is wrapped up in his self-loathing over a congenital disability. The combination of his mood, desire, and music open the gate to a supernatural intervention. 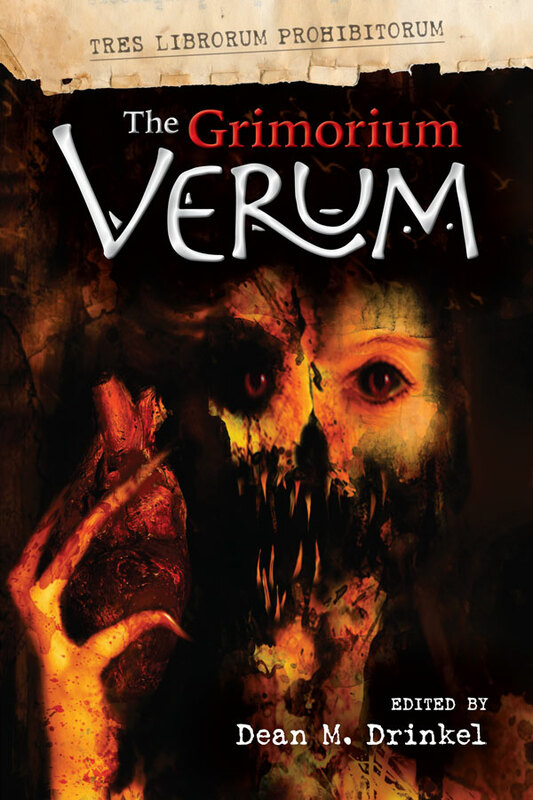 » More about The Grimorium Verum on the Western Legends site.